Cardiac muscle from a 15 day old mouse. Red staining indicates the presence of a protein involved in cell division. 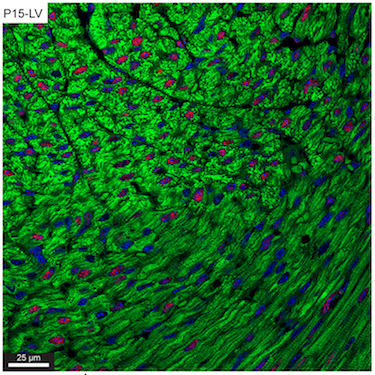 In similar images from a mouse at day 14 and 16, none of the cells are red.